B and I are visiting family in Lancaster, Pa. We all got together for Christmas dinner and the exchanging of gifts. Then yesterday we were looking for something to do, so we drove over to Wheatland, the home of our 15th president James Buchanan. We checked in at the Lancaster Historical Society, then walked down to the house itself. It is nice, but relatively modest, and the Christmas decorations were muted. Buchanan was a Presbyterian and apparently, at the time, they considered it inappropriate to celebrate the holiday with too much festivity. Buchanan was a Pennsylvania lawyer who ran for Congress, then became a U. S. Senator. He was named Secretary of State by President James Polk, then served as ambassador to the United Kingdom for Franklin Pierce. He came home to run for president in 1856. First he beat out incumbent Franklin Pierce and Illinois Senator Stephen Douglas for the Democratic nomination, then he won the presidency in a three-way race, defeating Republican John Fremont and the Know-Nothing candidate, former president Millard Fillmore. Buchanan was known as a "doughface," a Northerner with Southern sympathies. In the fiery years leading up to the Civil War he tried to maintain the peace between North and South, between abolitionists and slaveholders. Instead, he earned the enmity of both. He pushed for admitting Kansas as a slave state and secretly intervened in the infamous Dredd Scott case. The decision denied blacks the right of American citizenship and ruled that the federal government had no power to regulate slavery in the territories. The division between northern and southern Democrats allowed Republicans to take control of Congress in 1858. Buchanan had pledged not to run for re-election, and in 1860 Lincoln won in a four-man race against two competing Democrats and another candidate. Buchanan went back to Lancaster and lived out his days hosting dignitaries at Wheatland and defending his political legacy. He was the last president to be born in the 18th century, the only president from Pennsylvania, and the only president who was a lifelong bachelor. He is also consistently regarded as one of America's worst presidents for his failure to address the most important issue of his time. There were rumors that he was gay -- he roomed with a male friend in a Washington boardinghouse for ten years from 1834 to 1844. But the story goes that as a young man he was engaged to Ann Coleman, daughter of a wealthy Pennsylvania businessman. However, due to Buchanan's busy legal and political career, they were not able to spend much time together. Some people gossiped that Buchanan was only marrying Coleman for her money; others insinuated that he was seeing other women. In any case, in the fall of 1819 Coleman found out that Buchanan had stopped in to visit a friend's wife, and Coleman, suspecting the worst, called off the engagement. Soon after, on December 9, 1819, Coleman fell sick and died. Her doctor attributed her death to "hysteria," while others suspected she overdosed on laudanum, a form of opium, either by accident or on purpose. Heartbroken, Buchanan never courted another woman, and resolved to live out his days as a bachelor. B and I were in New York City for the weekend and went to the Rubin Museum which features art from the Himalayas. I stopped by a meditation booth, sat in a comfortable chair and listened to the recording of wind from the Himalayas. I was supposed to meditate. Instead, for whatever reason, I started recalling the initials of the people I used to work with at a publishing company some 20 - 30 years ago. In the office we used to sign off on papers with our initials, rather than our names, and I could recall the initials of almost every person in my division. I reprimanded myself for not being able to meditate properly, for exhibiting such a shallow Western mind. And, besides, what possible good can knowing all those initials do for me now? Later, when I got home, I began to think of all the things I've learned over the years, all the skills I've developed, that are now outmoded, out-of-date, completely useless. I'm sure you've got plenty of your own. For example, how to drive a stick shift. Nobody drives a stick shift anymore . . . it's an odd car company that even makes a stick shift anymore. Or know what a Nash Rambler is? Why you're not supposed to light three cigarettes on the same match. How to carefully place the needle on a record player between the songs on an 33 rpm LP. 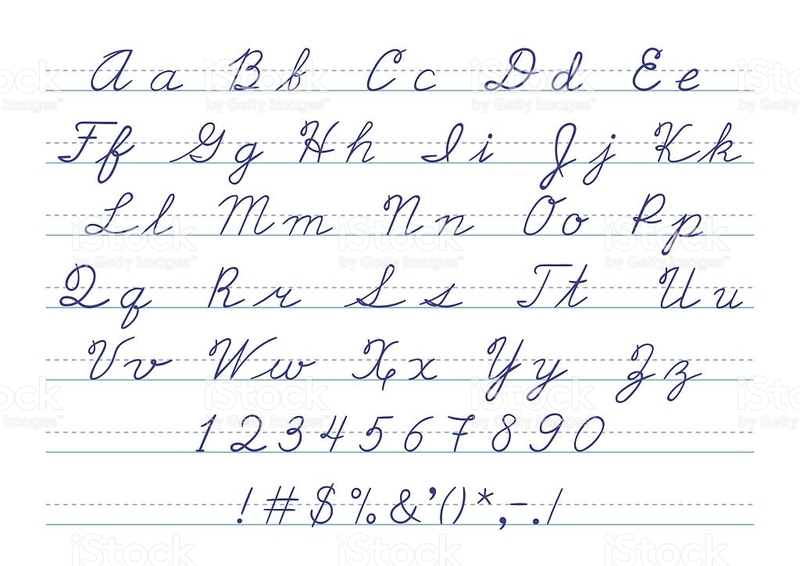 How about writing cursive script? Those beautiful flowing f's and s's and r's. Gone the way of the do-do bird. 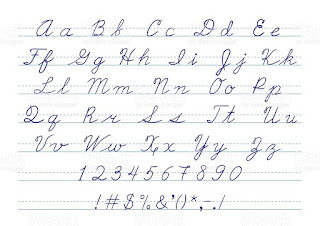 My fourth-grade teacher was so proud of the penmanship she taught us, using those guidelines on the chalkboard for upper case, lower case and descending lines in the q's and g's. How to change a typewriter ribbon . . . or use whiteout. How to maneuver the rabbit ears to get the best reception. Do your kids even know what rabbit ears are? How to refill a fountain pen, or replace the cartridge in a cartridge pen. 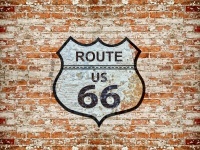 Where Route 66 goes? And what it means. Who the "nattering nabobs of negativism" are, and who made the charge? Do you remember the name of William Randolph Hearst's sled in Citizen Kane? I do, for whatever good it does me. There she was just a-walkin' down the street, singin' . . . .
Snappin' her fingers and shufflin' her feet, singin' . . . .
She looked good (looked good), she looked fine (looked fine) and I nearly lost my mind. Before I knew it she was walkin' next to me, singin'. . . . So I close with another the bit of useless information I remember from Latin class: Quod Erat Demonstrandum. Blogging: Is It All About Me? 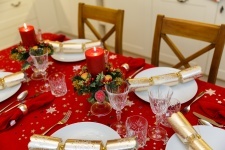 Last night B had a few of her women friends over for a potluck Christmas dinner. This morning she was telling me about some of the conversations that went on over the egg casserole, broccoli quiche and spinach salad. And several bottles of wine. There's one woman in particular who annoyed her. "All she does is talk about herself," B complained. It reminded me of a post I did a few years ago, about one of the dangers of blogging. Are we just talking to ourselves? Last night, whenever anyone at the dinner table brought up a subject, any subject at all, this woman felt compelled to present her own experience with the subject at hand -- and if she didn't have any experience herself, she'd go on at length about her husband, her children or some other relative. All without the slightest regard for whether anyone else at the table was interested, without any empathy or connection to other people's experiences. Someone in the group mentioned that she'd had a knee operation. "Oh, well, let me tell you about my husband and his knee operation," she insisted. "He had his knee replaced. It was awful!" And on and on and on. It reminded me of how an old colleague of mine used to make fun of people who were too self-absorbed, too caught up in themselves. "Okay, enough about me," my colleague would say loudly, imitating the person and mocking them at the same time. "Let's talk about you now. So ... what do you think about me?" Does this relate at all to our own blogging? I've seen comments in the media making fun of bloggers, referring to them -- us -- as a narcissistic bunch of people who insist on posting to the Internet every little detail of our lives, and how wonderful our kids are and how cute our pets are, without any consideration whether or not anyone else in the world was interested in our lives, or our children or pets. It made me wonder: Is this what we retired bloggers are doing -- we Baby Boomers, who are incessantly accused of being interested in only ourselves, and what we are doing and how we impact American life? I am not criticizing anyone (least of all myself -- eeegads!). And I am not fishing for reassurance or compliments about my own blog. (Who me? Fishing for compliments? Never!) But there's nothing wrong with a little self-examination every now and then. And it makes we wonder: How do we talk about the issues in our lives, our day-to-day concerns as well as our more fundamental issues, without falling into the quicksand of self-indulgence? How do we include other people in our conversations? How do we keep ourselves relevant as we talk about our families, our ailments, our travels, our finances, our politics? The bloggers I know hardly ever talk about their kids. We do hear about people's travels -- but I like reading about trips to Hawaii and Ireland and Thailand and elsewhere (although they do make me envious). I actually don't think the important thing is the subject matter itself, but the way it's handled. Can other people relate to the experience, or are we just bragging about what we've done? What about nostalgia? Can we delve into the morass of nostalgia, or are we being self-indulgent Baby Boomers if we do that? I dunno. I like the occasional trip down memory lane. Don't you enjoy listening to Sinatra or The Beatles or Jim Morrison every once in a while? Anyhooo ... B told me I didn't have to leave the house when her friends came over last night. "These women are not as raucous as my book group," she assured me. Nevertheless, I didn't want to be holed up in the bedroom, in our little one-bedroom condo, while all these women were talking and laughing and eating and having a good time. So I went out to a movie. I saw Arrival with Amy Adams and Jeremy Renner. But I'm not going to tell you if I liked it. I don't want to be self-indulgent. B and I made the trip into New York City over the weekend to see Love, Love, Love, billed as an "intricate, funny and deeply intelligent play." I'm not sure I quite agree with that, but anyway, it's a play about Baby Boomers, taking its name from the opening line of The Beatles' "All You Need Is Love." And it brings up the question: Do Baby Boomers love themselves, at the expense of everyone else? Act one takes place in the summer of 1967. Kenneth is a freewheeling college student spending the summer loafing around his older brother's apartment in London. The earnest older brother, Henry, has a job, his own flat, and is hoping to have a girlfriend in Sandra, who is coming over to his place tonight. Henry is trying to get rid of Kenneth, but Kenneth outwits his dour brother at every turn. Sandra arrives and soon falls for Kenneth, throwing over Henry for his more playful younger brother. She excuses her move, saying everyone needs to be free, to follow their own desires -- "Young people, our age, we're in the moment," she coos -- and besides, Henry will get over it soon enough. 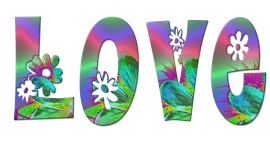 In act two it is 20 years later and the two kids who believed in free love have now grown up. Sandra and Kenneth are married with two teenage children of their own -- who they evidently neglect in pursuit of their own dreams. It's the daughter's birthday. But Kenneth doesn't even know how old she is, and Sandra, with her high-powered job in London, is too busy to attend her daughter's violin concert. Nevertheless, Sandra insists that everyone have birthday cake, whether they want it or not. In act three it's 2010 and the daughter, now 37, bitterly complains that she has nothing in her life -- no career, no boyfriend, no home -- and blames it all on her parents. I won't tell you anymore, in case you ever want to go see the play. Suffice it to say that things work out just fine for Kenneth and Sandra. Not so much for everyone else. Of course, B and I thought the play presented a pretty broad indictment of Baby Boomers as selfish, narcissistic people who don't care who they hurt so long as they fulfill their own desires. Boomers are bad parents who were lucky to enjoy an economic boom, and who don't care, or even acknowledge, that their children are struggling to even approach their parents' lavish standard of living. Afterward, B and I decided that we, as Baby Boomers, actually sacrificed more for our children than our parents ever did for us. We paid more attention, spent more money, did more for them. Our parents just told us to go outside and play. We signed up our kids for piano lessons and swimming lessons, for summer camp and SAT courses. But . . . maybe we're just fooling ourselves? Or, maybe that's part of problem? Today CNN reported that in international student rankings, Americans scored 22nd in reading skills, and 39th in math, the lowest in years. And an article in the New York Times "The American Dream, Quantified at Last" cited a report from Stanford showing that the chances of someone earning as much as their parents have been declining for over half a century -- from 92% for people born in 1940 to 79% for people born in 1950 to barely 50% for those born in 1980. In other words, achieving the so-called American Dream, of doing better than our parents, was virtually guaranteed for those of us lucky enough to be born in the 1940s. But for our children, born in the 1980s, the road to prosperity has been filled with many more potholes. Of course, so much depends on the individual children, and the parents. But a rising tide lifts all boats, and presumably we enjoyed a rising tide, while our children do not. Or . . . maybe we should have just told our children to go outside and play? When I was in high school, back in the 1960s, our teachers would occasionally spring a surprise, unannounced quiz on us, just to see if we were keeping up on our homework and staying on top of the subject matter. We called these surprise quizzes Japs. I suppose that would be considered politically incorrect these days. But there was nothing quite like the rumor of an upcoming Jap quiz to recreate terror in the minds of high-school kids something like the horror of the Japanese attack on Pearl Harbor, 75 years ago today. I don't mean to be politically incorrect -- we all know that the Japanese are our friends now, and they have sometimes bested the Americans in many ways from the economic to the academic. And I certainly don't mean to make light of the horrors of World War II which killed an estimated 60 million people -- more than any other conflict in history -- including some 400,000 Americans and 2.2 million Japanese. But I don't think people remember World War II quite the way we did in the '60s. Back then the war was much more recent history. We knew fathers and other relatives who'd actually fought in the war, and we were awash in books and movies about the War. To my kids, the War refers not to World War II, but to the Vietnam War -- the one they constantly heard about from their parents. 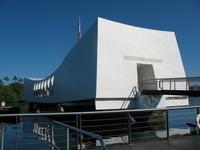 But Vietnam, as scarring as it was, took much less of a toll compared to World War II. Some 58,000 Americans died in Vietnam, and the total number killed, both North and South, is estimated at "only" about 3 million. The amazing thing is that it didn't take long for the Japanese and Americans to mend their wounds and develop into international friends. We've now become partners with Vietnam as well. Today we're embroiled in the Middle East. I wonder if the day will come when Saudi Arabia, Iran, Syria, Israel, and all the others, as well as the United States, will lay down their arms and figure out a way to live peacefully with one another. The big day arrives, and we're off on that new adventure called retirement. Hopefully we've got our finances in order, and maybe some dreams of traveling the world or resettling in the Sunbelt. We are lucky to be able to retire. It's an opportunity not available to many others in the world and, except for the rich and famous, was never available here in America either, until well into the 20th century. The problem is, there are no guarantees that come with retirement. So as we go forward we should remember that there are a few things retirees simply cannot afford to do . . . and maybe you know a few others that I haven't identified here. 1) We can't afford to ignore our finances. It doesn't matter how big our nest egg is or how generous our pension, we have to remember that we could easily live another 20 or 30 years -- all without a paycheck. We will inevitably go through a financial crisis or two, and perhaps another bout of inflation. The purchasing power of a pension that looks good today could dwindle if inflation returns. Ask your parents who lived through the 1970s and 80s. So we need to make sure our investments are diversified and our incomes derive from several sources, so if one asset runs into trouble the others will pick up the slack. 2) We can't afford to ignore our health. This is right in front of our eyes, but sometimes we don't see it. As we get older, our bodies become less tolerant of injury and more susceptible to disease. An injury we could recover from in two weeks when we were in our 30s now takes two months -- or we may never fully heal at all. So we need to get our checkups, eat right, sleep well, avoid stressful situations and get some exercise. But don't be foolhardy. Say yes to walking, hiking, playing tennis or golf. But don't go skiing, skateboarding or skydiving unless you really know what you're doing. 3) We can't afford to hold on to a large home. We like our suburban house with its backyard and tree-lined street. Perhaps we want to keep the old place so the kids will come home and show the place to the grandchildren. There may also be sentimental memories attached to the house. But again, remember that we now are getting older, and we are less able to clean and maintain a big three- or four-bedroom house, especially if it's showing its age and may need a new roof and new windows. We don't want to end up rattling around in a big old house that's falling down around our feet. 4) We can't afford to skip planning ahead. Retirement is not a destination; it's a starting point and may involve some time for transition. Life goes on, and so we can't think that all our decisions have been made. Someone may need to plan ahead for their creaky knees or painful hip and live in a place with a bedroom on the first floor. Maybe a divorced child will want to come back to live at home, or perhaps there's a grandchild in the future (as there now is in ours). Our job is to look ahead, as best we can, and set ourselves up for the most likely possibilities. We're retired, but we still may have to adapt our lifestyle to new situations. 5) We can't afford to lose our friends. Many older people are lonely. They've lost some friends and others have moved away. The kids may be halfway across the country. So we can't just plan where we're going to live and what we're going to do. We have to figure out who we're going to do it with. So we can't be shy about signing up at the local senior center or trying out a new activity where we can meet new people, whether it's joining a card group or taking a dance class. If we're going to relocate, we need to consider where our friends are going and whether we want to join them. Also, we need to make sure to find a community that will welcome us as newcomers, whether it's a retirement mecca, an over-55 community, or (what we're looking for) just a neighborhood with lots of friendly people. 6) We can't afford to take our family for granted. Our kids, or our siblings, may have been around so long that we assume they will always be there for us. But they can move away for a job or a new lifestyle. We need to make the effort to stay connected to family. Before anyone retires to Hawaii, Key West or another country, they should think about the family. And (as I keep reminding B), we shouldn't underestimate the pull of children and grandchildren. For most of us, they're worth sticking around for.